Discover Bacolod City thru its churches, museum, food and people. Shop at the Negros Showroom, a product display and business center, declared by the Bureau of Domestic Trade Promotions as the NUMBER ONE trade house in the Philippines today. Relive the life of an haciendero in his mansion. 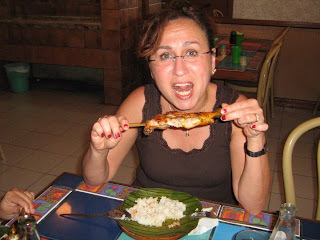 Savor the authentic Bacolod’s chicken inasal for lunch. Discover Bacolod City and Negros Occ. thru its churches, museum, food and people. Savor an authentic Ilonggo lunch amidst the grounds of an ancestral house. Step into some of the heritage homes in Silay City. Observe how muscovado sugar is made.